In 2012, the Kennel Club newly registered over 1,200 German short-haired pointers against under 700 of our own; over 300 American Cocker Spaniels against 74 Sussex Spaniels and more Brittanys than either Field or Clumber Spaniels. Shakespeare may have written that our mastiffs 'are of unmatchable courage' but the public prefer a German mastiff, the Great Dane, with well over 1,000 of the latter registered each year, against fewer than 200 of our native breed. In the light of this, you could be forgiven for thinking that we are doing a great deal to perpetuate foreign breeds and very little to conserve our own native breeds. There is a serious threat to a number of our renowned British breeds which could lead to their disappearance within thirty years. Even fifty years ago, the shooting men went for British gundogs; not any more. Each year an additional three and a half thousand pointers from Germany increase the German representation, to outnumber the combined annual registrations of all the setter breeds and the pointer of these islands. 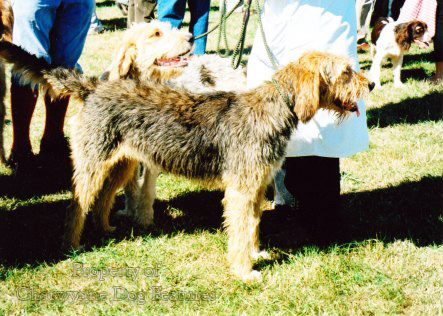 More Italian Spinones and Hungarian Vizslas are registered annually than four of our spaniel breeds. The preference for 'hunt, point and retrieve' breeds has largely caused this, but if our ancestors had needed an all-rounder, they would have bred one themselves - and it would have been a world-beater. Have our sportsmen lost their breeding skills as well as their patriotism? The Kennel Club may falsely claim that they have never lost a native breed from their lists but the saving of any breed is not due to their patriotic interest, or lack of it, but the devotion of committed fanciers, almost by default. 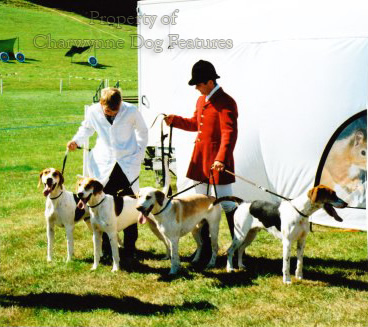 The Kennel Club recognises over 50 breeds in their Working and Pastoral Groups; 42 of them originated overseas. Of the 23 breeds in the Toy Group, 19 of them came from abroad. 24 of the 25 breeds in the Utility Group came to us from overseas. 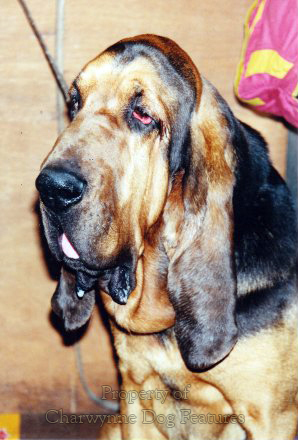 26 of the 33 breeds in the Hound Group came from outside the United Kingdom. Every year more breeds come on to the register, some of them from strange backgrounds. The pretentiously named Pharaoh Hound is actually a rabbit dog from Malta and Gozo; nearly 300 have been registered in the last ten years. Foreign breeders rarely let their best stock go; without long breeding records, who knows what 'genetic junk' we are introducing? Against that background it is disturbing to check the registrations of those of our native breeds, with extremely long breeding records, with fewer than 200 being bred each year: the Curly-coated Retriever; Clumber, Field and Sussex Spaniels; Manchester, Norwich, English Toy (black and Tan) and Miniature Bull Terriers; Otterhound and Bloodhound; with the Harrier and the Trailhound still unregistered. Their names alone usually show how English they are. Compare under 200 a year of each of them with the 8,000 German Shepherd Dogs, 5,000 German Boxers and over 1,500 Rottweilers newly registered each year. Each decade tells its own story on the gradual disappearance of our native breeds and the often spectacular promotion of breeds from overseas. 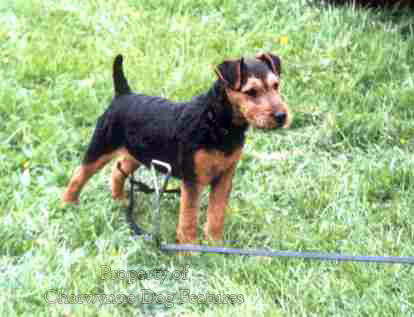 As the Manchester Terrier fades (169 registered in 1989, only 124 in 2012) and the Airedale Terrier declines (1,576 in 1989, only 600 in 2012), we are importing the Cesky Terrier, developed overseas from the Sealyham. As the Field Spaniel struggles to gain new owners (122 in 1989, against 47 in 2012), the Hungarian Vizsla goes from 223 in 1990 to nearly 2,000 in 2012. We lost our English Water Spaniel but now import the Portuguese, Italian and Spanish Water Dogs. As the Lancashire Heeler goes down from 208 registrations in 1989 to 104 in 2012, we import more Australian shepherds, 124 in 2012. Four times as many Siberian Huskies were registered here in 2012 than Old English Sheepdogs. In such a way did we lose the English White Terrier, an elegant charming dog and a long established breed type. In Japan, Portugal and Denmark they have national societies to protect and conserve their native breeds of dog. The Broholm mastiff in Denmark is not available for export because every dog in the breed is valued. There is no such national society in Britain. Through the National Trust and English Heritage we are safeguarding our famous buildings and historic sites. Through the admirable Rare Breeds Survival Trust we are commendably striving to conserve our Tamworth and Gloucester Old Spot pigs, Bagot goats, Shropshire sheep, Longhorn cattle and native breeds of poultry, but who is going to protect our precious breeds of native dog as indifference and exotic preferences ensure their demise? They too are part of our heritage - our living heritage. Fortunately there are some artisan b reeders already at work restoring the Bedlington and Sealyham terriers to their working design, resurrecting the very attractive Sporting Lucas Terrier and promoting the Patterdale. 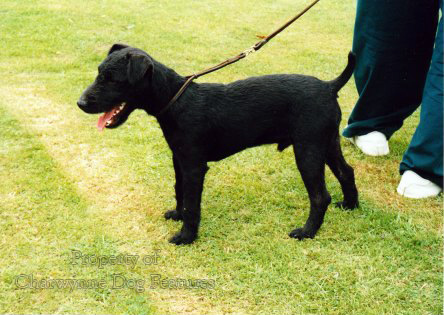 The country sports writer Brian Plummer, blending skill, knowledge, vision and enterprise, developed his own breed of terrier, named after him and predictably well respected by those who work their dogs. But where are the landed families of today in such work? Where are the successors to the likes of the Duke of Kingston and his Pointers, the Duke of Newcastle and his Clumbers, the Earls of Southesk and Carlisle and Lord Ossulton and their setters, Lord Orford and his Greyhounds, the Duchess of Newcastle and her Fox Terriers and Lord Knutsford and his Labradors? Without leadership, either from a traditional source or from the Kennel Club, which sees no role for itself in conserving historic British breeds, how can we put this right? We probably need, first of all, a new kind of Kennel Club dedicated to the remaining British sporting breeds and their survival. Is this something for the BFSS to foster? The American Kennel Club does not have the monopoly that ours exploits, indeed one of the AKC's rival organisations, the United Kennel Club, registers more dogs annually than our KC and licenses most of the working activities there. An enterprising and enlightened dog food manufacturer would find good rewards from the sponsorship of such a worthy organisation as a new more patriotic Sporting Kennel Club in Britain. Secondly there is a need to restrict the entirely capricious and wholly unjustified importation of fresh foreign breeds into this country. Coming along behind the German short-haired pointers are the Stichelhaars and the Langhaars, behind the Large Munsterlander is the small variety and then there are the French pointers: the Braque D'Auvergne, the Braque St.Germain and the two sizes of Braque Francais, and the Epagneuls: Picard, de Pont-Audemer and Francais, as well as the Dutch dogs: the Stabyhoun and the Drentse Patrijshond - we could be overwhelmed! The Federation Cynologique Internationale (FCI) or world kennel club, recognises 340 breeds, well over twice the number recognised by our KC and the American KC. But the FCI has at last acknowledged the need to restrict the number of new breeds it accepts. It now demands a minimum of eight distinct bloodlines, at least a thousand dogs registered and evidence of control of hereditary problems. Against those criteria, breeds like the Chinese Shar Pei would never be allowed in here. Thirdly there is a need to counter the ignorance of old English breeds. Why import a Stumpytail Cattle Dog from Australia when the look-a-like bob-tailed sheepdogs of the Black Mountain on the Herefordshire border are being neglected? Why import the Petit Brabancon (the smooth toy griffon) when our comparable Toy black and tan terrier is losing ground? Why import a Hamiltonstovare from Sweden when our similar stud-book Harrier is so handsome and well bred? We lose our sedge-coloured Norfolk retriever and then import a sedge-coloured retriever, the Chesapeake Bay, from Norfolk, Virginia. We lose our red decoy-dog and then import a red Nova Scotia Duck-Tolling Retriever with an identical role. For a nation accused of living in the past, we are paradoxically fast losing our living heritage. 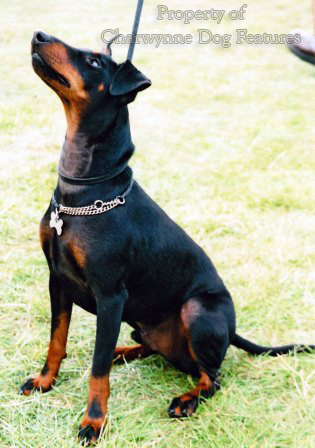 In thirty years time, when the people of England is aghast at the incidence of inherited diseases in pedigree dogs, the loss of genetically-healthy age-old proven breeds of our native dogs will really be felt, and we only have ourselves to blame. Step forward patriotic country sportsmen, terrier-men especially, give some thought to the next millennium. Will not one of you re-create the English White Terrier, the Shropshire Black and Tan, the Cheshire White or the real Yorkie? If you haven't the resources for that, do what you can for the Norfolk and Manchester Terriers, the latter only registering around 100 pups a year these days. 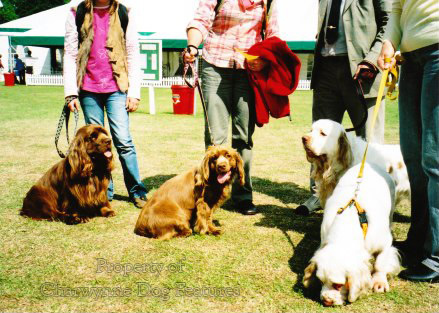 Only 52 Sussex Spaniels were registered in 2011, a lovely old breed fading away. Buy English - before it's too late!